Extracurricular Activities : Dance and Music. Sports: Kabaddi, Badminton, Kho-Kho. Scout Guides Training. Competitions up to National level. This Junior High School is located at a height of nearly 2000 metres in Jakholi. This village is situated on a secondary road from Tilwara to New Tehri at about 40 km North-West from Rudraprayag. The road strongly climbs from Tilwara up to Jakholi. While climbing up the mountains towards Jakholi, one comes across a forest with beautiful conifers and rhododendrons. The School is situated in front of a large snow-covered range of the Himalayan mountains, with view towards Badrinath and Kedarnath, which enhances the beauty of the place. Since this School was adopted by the Omkarananda Educational Society, it is constantly progressing, providing education from Nursery to Classes X. The local people find it a matter of pride and joy, that their village has been blessed by great Saints: In a public function the local School-Committee made a declaration, that many years ago Swami Vivekananda was here, then Swami Ram Teerth visited them and now Swami Omkarananda has come to help them in the field of education, spirituality and Indian culture. The School has two sites, which are located at a distance of some hundred metres. In one site Nursery and other small classes are running. In the second site, with several bigger buildings, the upper classes are running. Behind these buildings, there is a big sports yard. The school buildings have been provided by the Omkarananda Educational Society. 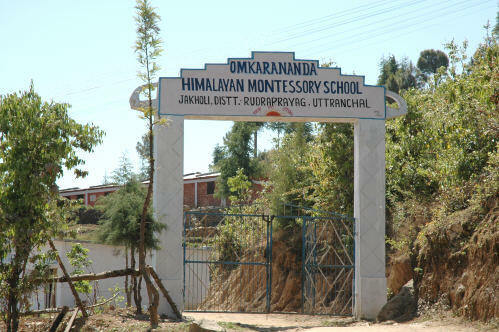 The Omkarananda Himalayan Montessori School, Jakholi, is outstanding, what excellent management, commitment of teachers and condition of School is concerned. This School can really serve as a role model. 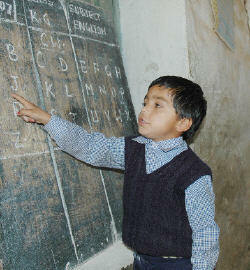 The students of this wonderful School are coming from a radius of about 7 km distance on foot. Besides high class teaching along with moral and spiritual values, the students are provided with music and dance classes, all kinds of sports types, and they take part in many competitions, even on National level, successfully. 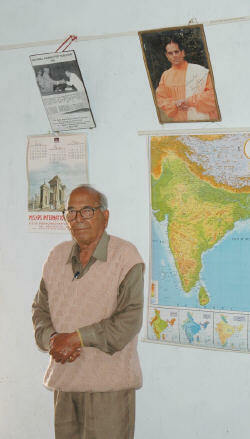 The School was running many years under the able guidance of late Mr. K.N. Bhatt (right), who was the recipient of the President's Award for his outstanding contribution in the field of education.